Having hypertension raises your risk of heart disease and stroke. In many cases, lifestyle changes can prevent or control it. The dietary factor most commonly cited as contributing to high blood pressure is sodium intake. However, limited research reveals that intolerance to gluten -- a protein found in wheat, rye and barley -- is a risk factor. If you have unexplained hypertension and suspect you may be gluten-intolerant, ask your doctor for a blood test. A gluten-free diet is the only treatment. Celiac disease is when your immune system responds abnormally to gluten by producing antibodies that damage the small intestine. Some people have no symptoms, and those who do have symptoms that vary widely. One person may experience digestive issues like abdominal pain and diarrhea, while someone else may feel irritable or depressed. Most of the research examining how gluten intolerance affects the body centers around intestinal damage. Researchers described how celiac increases the risk of high blood pressure in a study published in the "Journal of Human Hypertension" in June 2002. Gluten intolerance causes intestinal damage that decreases your ability to absorb nutrients such as B-12 and folate. Both are necessary to control homocysteine -- a substance that when high is linked to heart disease. The increase in homocysteine appears to causes blood pressure to rise. A gluten-free diet and replenishing B-12 and folate reverse hypertension under these circumstances, according to the study. In October 2007, the French journal "Gastroenterology, Endoscopy and Biology" published the first case report connecting gluten to portal hypertension -- abnormally high blood pressure in the vein that carries blood from the digestive organs to the liver. The report describes a 31-year-old woman with unexplained portal hypertension. Test results revealed undiagnosed celiac as the cause. The "Journal of Clinical Gastroenterology" published a study in August of that same year reporting successful treatment of portal hypertension with a gluten-free diet. 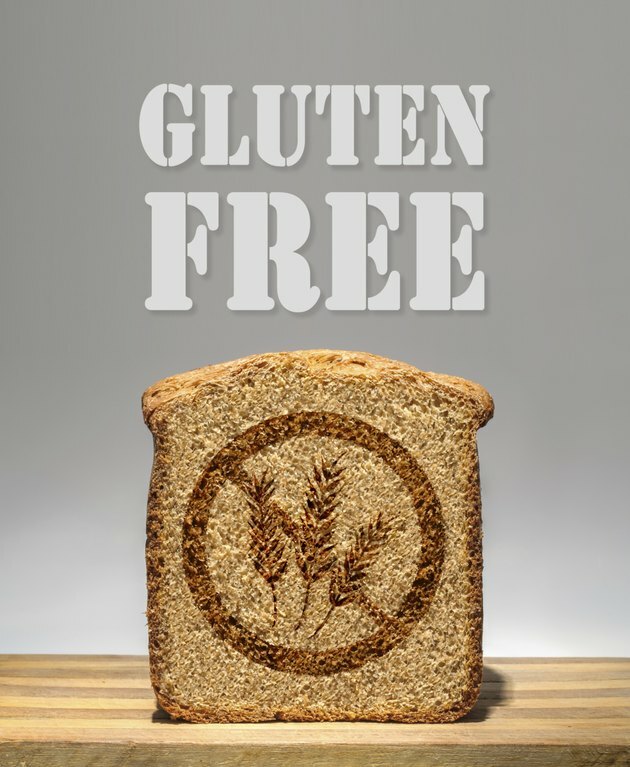 Adhere to a strict gluten-free diet if you have celiac disease. Because gluten is found in many foods, it takes time to adjust to this diet and learn to identify gluten-containing foods. The bulk of your diet will come from fruit, vegetables, meat, seafood, nuts, dairy, beans and other legumes since these foods are naturally gluten-free. You must avoid food made from any of the harmful cereal grains, which includes bread, pasta, cereal, waffles, cookies, pancakes, muffins, cakes, pies and other pastries, breaded foods, sauces and dressings. Journal of Clinical Gastroenterology: Successful Treatment of Portal Hypertension and Hypoparathyroidism with a Gluten-free Diet.